mag+ recently had the opportunity to sit down with Johann Chan, Art Director at IDG to discuss the creation of The Artist Guide to Photoshop, an interactive magazine, created on the mag+ digital publishing platform. Based on the best-selling book, this highly engaging app is beautifully designed and an elegant read. Check out our interview below. Why was the creation of a Photoshop guide aimed at artists considered a worthwhile undertaking? Why in the form of a tablet magazine – and how important is that in relation to its audience? Photoshop is the most popular subject area for us. It seemed appropriate to choose the modern medium of a tablet magazine to suit a modern audience. Adding live links, interactive elements and animated video is an exciting opportunity to add life to a previously static page. Why did IDG decide to employ mag+ as a publishing solution, and why was it particularly appropriate for this project? We like mag+’s simplicity of working in both orientations (the app working in both landscape and portrait). It is easy to use. We also wanted to use a tool that worked well with InDesign, which is what we use to create our magazine. Can you tell us a little bit about the people involved, resources required? I managed the project handling the art direction and design of the project as well as the motion graphics, the photography and video. We also hired a designer to help us layout the 18 tutorials in the app. The model featured within the photography is Letitia Austin who is also our Marketing Software Editor & Affiliate Manager. How did your concept for the magazine evolve during the project, and how did mag+ interactive features help you to problem solve and realize your vision? I was really keen on incorporating an animated cover in this interactive magazine- the seamless integration of video was great- but I really wanted to inject some life into the app with a short piece of After Effects motion graphics.We also wanted to demonstrate the illustrations being built step-by-step in an animated manner, and found the image sequence feature great at demonstrating this. Do you have any personal favorite features in the app (or on the mag+ platform) that you’d like to highlight? We have a lot of complicated intricate images in Digital Arts, which can sometimes be difficult to see in print. The pinch and zoom works very nicely, enabling our readers to zoom right in. What have you learned from this project, and how will it effect how you work on future projects? Yes there will certainly be a new method of managing files, resolutions and word counts. I’m really looking forward to commission work specifically for digital publishing – tailored content specifically for a tablet experience. Digital publishing offers some really exciting possibilities, such as the integration of video content used in conjunction with text and photography. As far as this project is concerned, do you imagine you will transition it to other platforms using this publishing model, or is that something that might be necessary for future projects? Perhaps- we shall see, the first one is always the hardest. We’re really excited to be launching an interactive digital app, with video, animations and sounds. I’ve learned many things of which I will and will not do next time. I look forward to unveiling some new ideas soon. 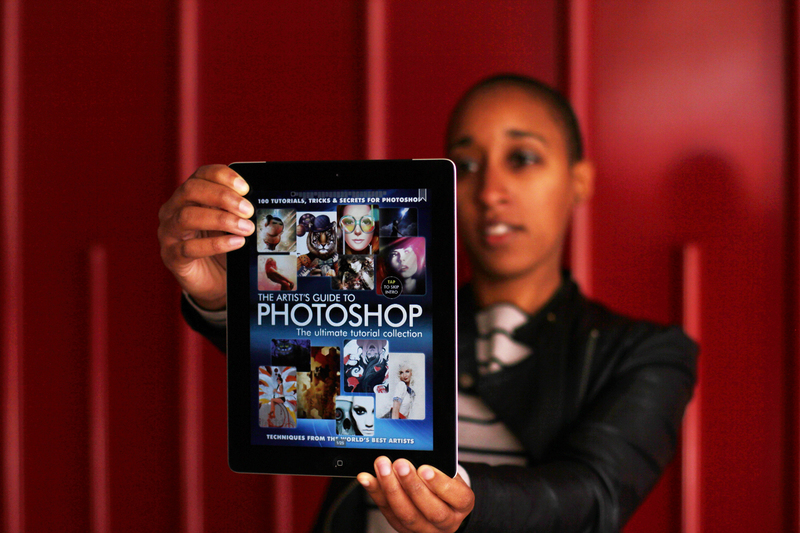 For more information on the Artist’s Guide to Photoshop check out Digital Arts Online, and download in iTunes today. The Artist’s Guide to Photoshop from Johann Chan on Vimeo.